FireStik K4R Stud mount for FireRing coax. The antenna to coax connection is one of the most important in any two-way radio installation. Why worry about unnecessary signal loss? Does your antenna warble when you head down the highway? 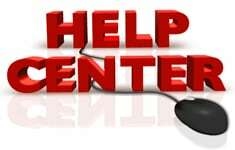 Have you ever lost an antenna that vibrated its way lose from the mount? Put your worries to rest with a premium CB antenna mounting stud specifically manufactured for use with FireStik's Fire-Ring coax. 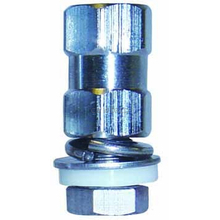 The FireStik K4R stud connector allows you to mount any FireStik or other 3/8 x 24 threaded antenna to any flat surface with a ½ inch hole. 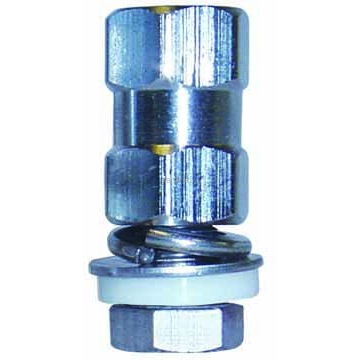 The Firestik K4R stud has an extra-long bolt to accommodate coax that terminates with the Fire-Ring connector. FireStik stud mounts possess outstanding design and are constructed only for the highest quality materials. The FireStik K4R is built with premium components including: chrome plated machine brass, 5/8 inch (16 mm) stock, nylon insulators, and stainless steel hardware. Experience FireStik quality for yourself. Experience made in America, by Americans craftsmanship that is built for the long haul. If we are out of stock on this item, you might consider getting the HS818TN-NIP that has the coax and stud.